2017 is nearly over, and so is jiu jitsu’s competitive circuit for the year. 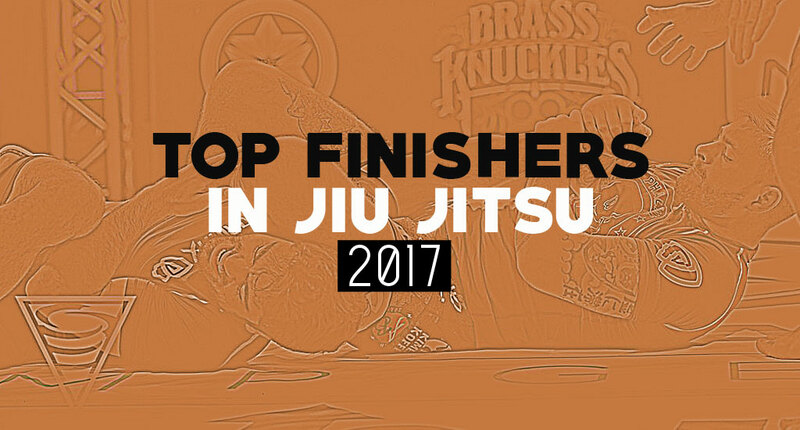 Continuing a tradition started 3 years ago (find rankings here of 2015, 2016), BJJ Heroes turns back to the past 12 months to discern who are the top submission artists in our sport. Competitors who have successfully placed the submission at the forefront of their objectives during their grappling matches in this sport’s international competitive circuit. The rules of this little exercise are simple: Every black belt athlete who achieved victory in a minimum of 10 grappling matches at a professional/high level event was counted. This means a tournament/GP/superfight promotion with talent depth similar to an IBJJF adult black belt style tournament. Please note that EBI overtime style submissions were not accounted as subs for this exercise as these are obtained outside the flow of the match, starting from pre-set advantageous positions. A quick assessment of this list and you will find three very interesting factors. The first would be that the majority of athletes who made the top 5 ranking belong to the new wave of jiu jitsu, be it with or without the gi. For those who frown upon the ‘new’ games, meaning the leg entanglements brought forward by the Danaher Death Squad, the lapel guard wizardry of Keenan or the ‘Be Like Water’ tactics employed by Najmi, the results are here to prove the new school works and submission based jiu jitsu is on the rise with the younger generation. Another interesting facet of this list is the diversity here represented. Proof that BJJ is spreading and earning high level competitors across the globe. The other other side to that point is Brazil losing the tight control it once had in jiu jitsu with only one athlete representing the South American region on this ‘Top Submission Artists in Grappling’ list this year. A fresh new arrival to the black belt division, Meregali came in and quickly cemented his status as one of the leading athletes of his generation. What is most impressive in Meregali’s submission record this year is that the young student of Mário Reis only competed in the very best gi tournaments the sport has to offer, and did not venture into smaller events to boost his record. A deed worthy of praise and admiration. Among Meregali’s submission victims you will find names such as Mahamed Aly, Lucas Leite, Dimitrius Souza and more. Another athlete who recently arrived in the black belt division but hit the ground running is Norwegian sensation Tommi Langaker. The Viking has one of the most aggressive guard games in the sport today, and although he has been a black belt for little over 6 months, he has already blasted through plenty of opposition. A Kimura-Nova União standout, Langaker competed almost exclusively in Europe so far (exception made to his BB debut at Copa Pódio). 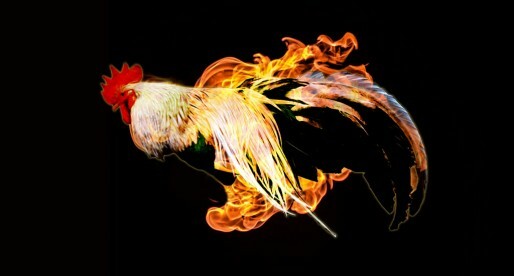 Among Tommy’s victims so far are names such as Hugo Marques, Alec Baulding, Bruno Matias and Max Lindblad. Like a well groomed killer, Najmi’s style is calm, composed and although it often looks as if he is barely breaking a sweat, make one little mistake and you will be tapping your way out of the tournament. Najmi’s most impressive win this year would be that over Márcio André at ACB 4, arguably the biggest comeback match of the year. But Edwin’s elusive style earned him many submission wins over high level opposition, including ADCC champ Davi Ramos, World No-Gi champ Thiago Abreu and BTT powerhouse Alexandre Cavalieri. One of the beacons of success for the Atos academy system is guillotine/gogoplata master Josh Hinger who competed in a wide range of rulesets this year, from IBJJF to ADCC and ACB. Although he hasn’t been a black belt for that long (2014), Hinger is a 30+ athlete (the only on this list) while being also the second most active competitor here represented, a testament to Josh’s character and toughness. A true ambassador for jiu jitsu in his demeanour and competitive drive. Josh Hinger’s tap-out collection was greatly increased this year with high level names such as Jonathan Satava, Dante Leon, Yan ‘Pica-Pau’, Tanner Rice, Manuel Ribamar and Victor Silvério to name a few. One of the most celebrated athletes in our sport is the talented Keenan Cornelius who continues to push the boundaries for submission based jiu jitsu in gi and no-gi. Cornelius was part of our 2015 Top Finishers ranking and returns in 2017, a year with a rough start for the Atos athlete who struggled with a knee injury for most of this period. Although he missed a few key gi tournaments (IBJJF Pans and Worlds) due to his aforementioned injury, Cornelius came back strong in the second half of the year. In his list of submission victims this year you will find highly praised athletes such as Erberth Santos, Kaynan Duarte, Gutemberg Pereira and more. Not many can argue 2017 was the year of Gordon Ryan. The mega talented no-gi specialist had been hinted as one of the future ‘greats’ of this sport for some time, and now at the young age of 22 he is very clearly on the path to become one. For his second consecutive year on the BJJ Heroes Top Finishers ranking Gordon used a wider set of tools, leaving his fearsome heel hook slightly on the back-burner. Takedowns, pressure passing, long distance passing and precise guard retention were 2017 Ryan material. His excellent form earned him his 1st gold medal at the ADCC, and silver at the open weight, and if this wasn’t enough Ryan collected a stream of high level victims to his submission count. 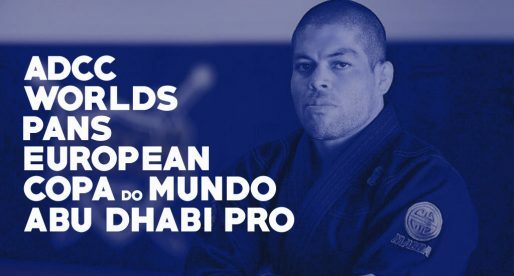 Names such as Rômulo Barral, Keenan Cornelius, Roberto Cyborg and Yuri Simões. As the song goes, Craig does came from a land down under, and he did plunder… the black belt division. 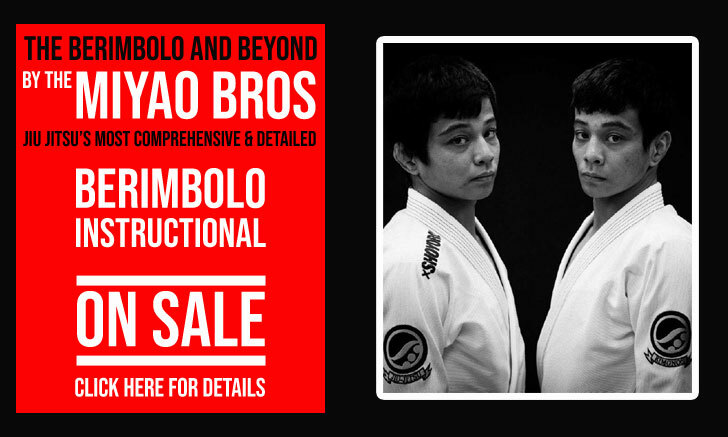 Quite a deed for someone who trains outside of the big grappling hubs of NYC, California, São Paulo and Rio de Janeiro. Although Jones has not conquered silverware at the highest level of the sport just yet, he has captured the hearts of submission lovers across the globe through his epic tapouts of legends such as Leandro Lo and Murilo Santana.